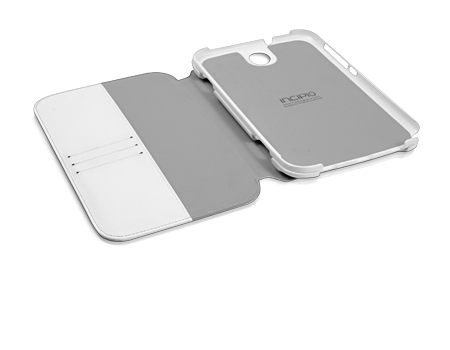 The Incipio Wallet Folio 2-in-1 Case for Samsung Galaxy Note 8.0 is a versatile case that comes with a genuine leather cover. Also features three card slots. Embrace the simplicity. The Watson™ Wallet Samsung Galaxy Note 8.0 Folio is constructed of a versatile design with a genuine leather cover offering three card slots for cash, credit cards and ID. Blending a microsuede lining with an interchangeable polycarbonate case, the Watson™ Wallet Folio is crafted for convenient mobility. The Watson™ Wallet Folio can adapt to any situation; bring it to your business meeting or use it around the house.